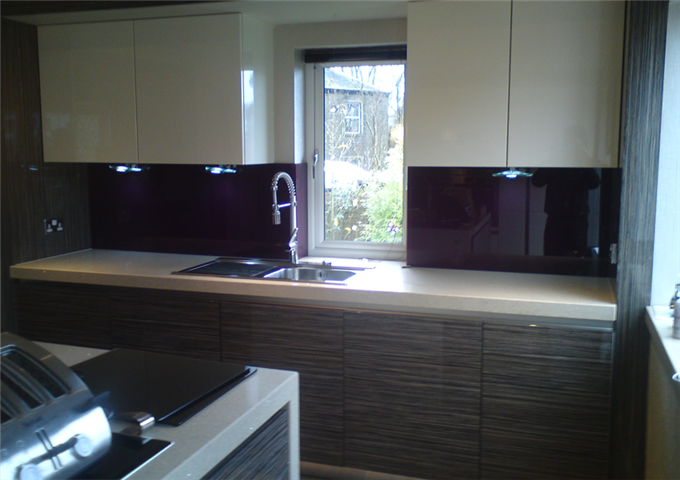 Our Factory and showroom is based in Radcliffe, Bury featuring an extensive range of our products. For people whom wish to decide in the comfort of their own home we can bring brochures, samples and swatches to choose from. 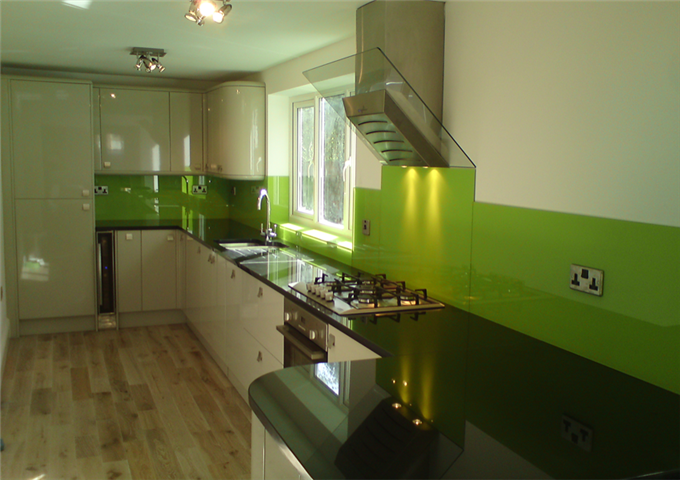 FineFit is committed to building your perfect glass splashback. All our template is done by laser measuring and all glass processing is done at the factory so there is no mess. 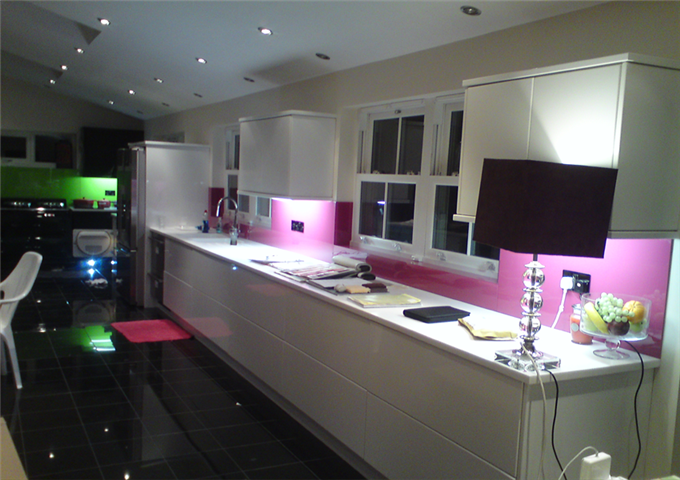 All our fitters where uniform and are employed by FineFit, no subcontractors. Extremely careful. We lay down dust sheets or wear overshoes where required. You choose your colour from the swatches then we send you samples so you see the true colour. 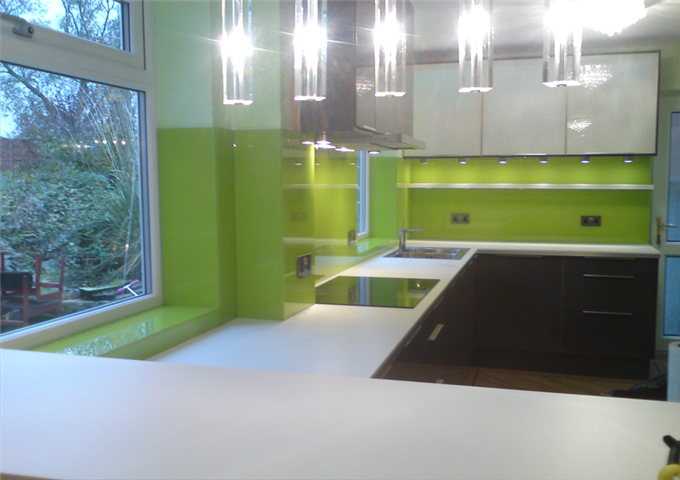 We always make sure that all the glass is neatly sealed after installation and that you are 100% happy before we leave. 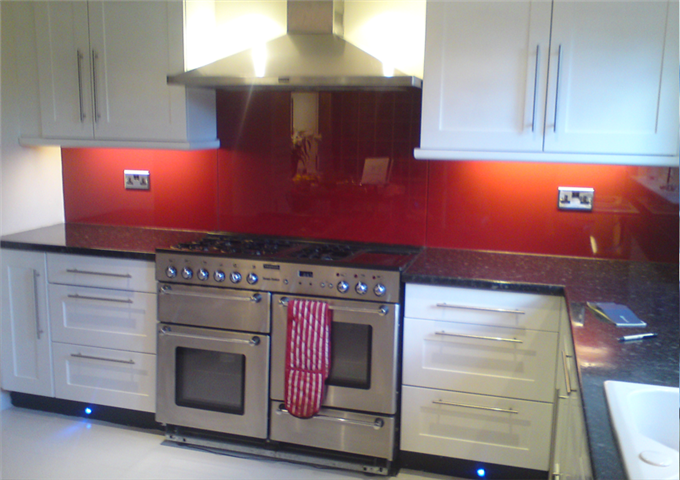 Every piece of glass is toughened with a discreet kite mark not just the piece behind the hob. All shaping and cut outs are done by cnc machinery. 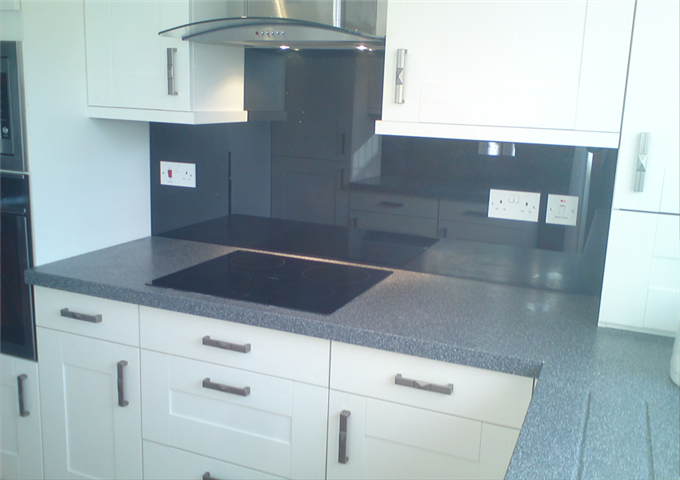 We will trim any pelmets where required and remove and refit extractors and taps. 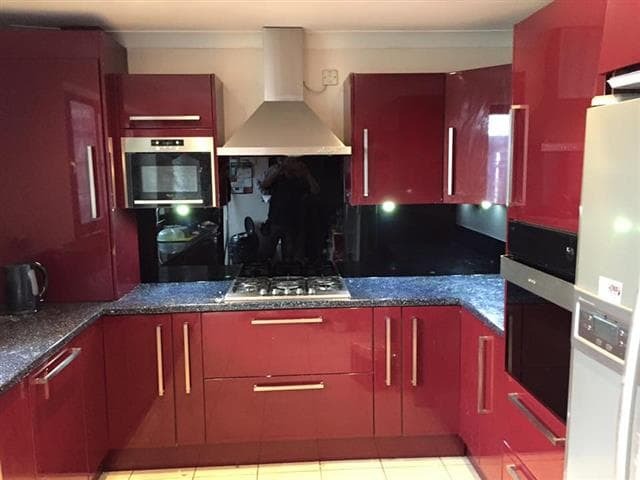 We offer a 10 year guarantee on any paint defects. 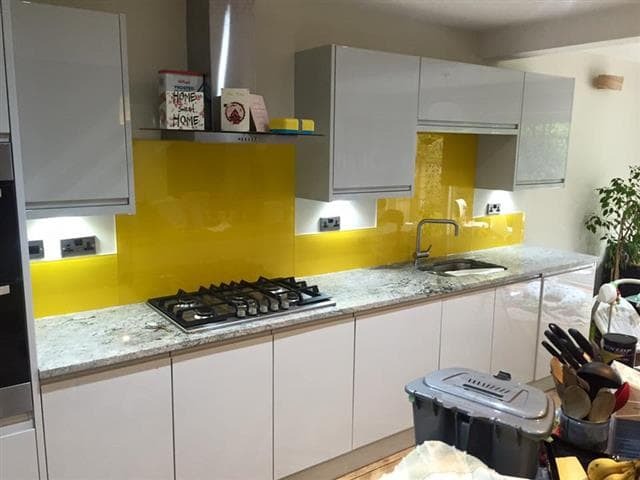 Glass Splashbacks are the simplest and most stylish way to give your kitchen or bathroom a facelift, creating more depth, light and even a feeling of space. 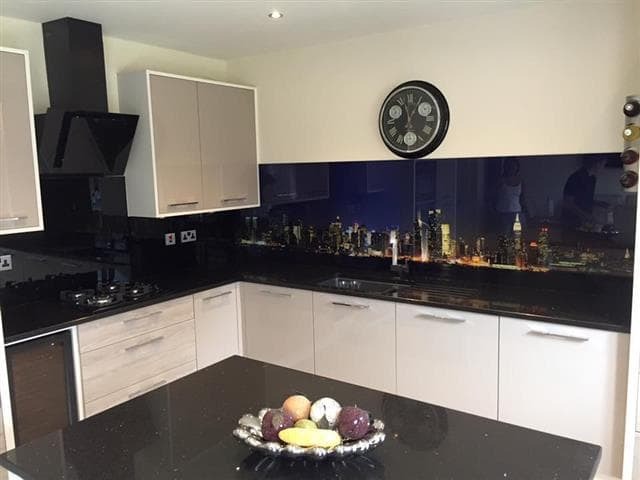 You can even make a bold statement by making a feature wall of coloured glass. 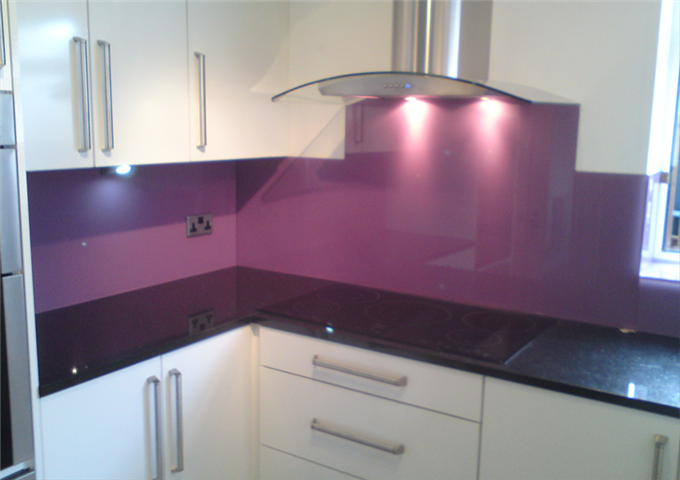 Whether you are planning a new kitchen or renovating, our glass splashback will add a touch of class & practicality. 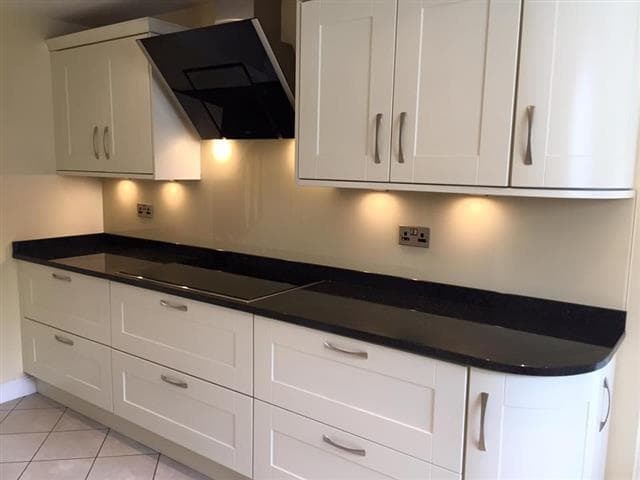 Splashbacks are a new concept designed to ensure a hygienic, modern design & finish that require minimal work to maintain. 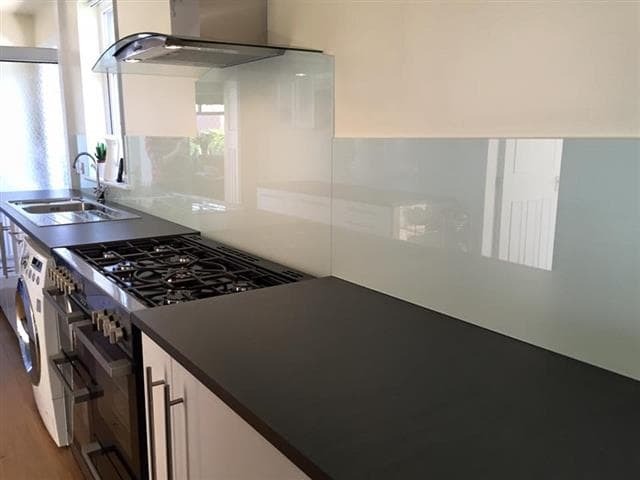 Glass Splashbacks maintain there appearance, unlike tiled surfaces, there is no grouting to capture neither grease nor grime where bacteria can gather. 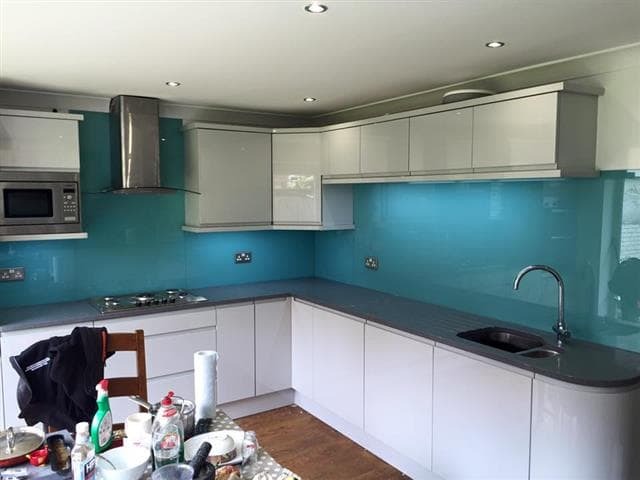 With the easy cleaning, non-staining quality of glass, it is the perfect surface for kitchens, bathrooms, laundries and other wet areas. Our philosophy is simple: 'Total Quality in everything we do.' 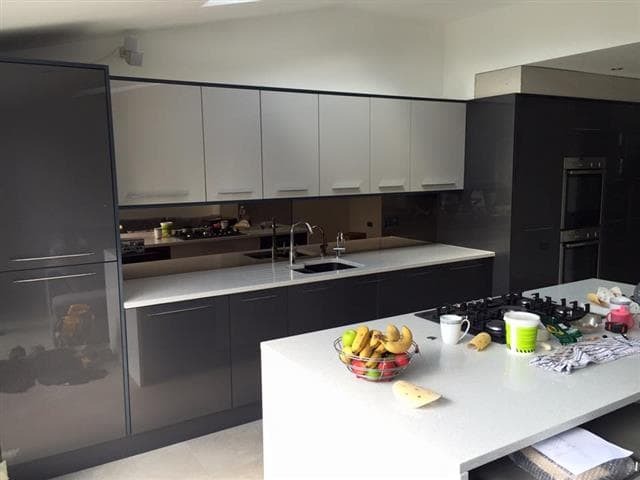 We offer the most innovative product ranges available and are committed to ensuring the highest standards, which are maintained from our purchasing team through to our after sales service.